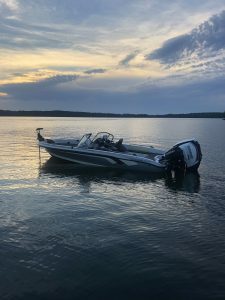 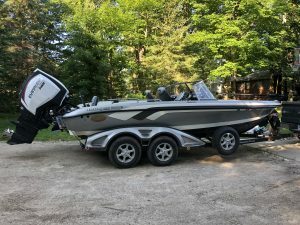 2012 Ranger 620 VS Fisherman – Olson's Outdoor Sports, Inc.
2012 Ranger 620 Fisherman, 2015 Evinrude 250 HO G2, 2012 Ranger trail Trailer, 2018 Evinrude 15 E-Tec kicker. 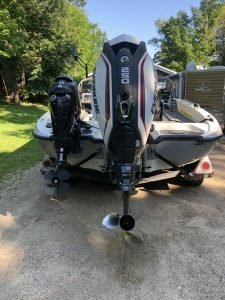 Big motor has less then 150 hrs and 3 year warranty remaining, kicker is brand new with less then 5hrs on it and 10 year warranty. 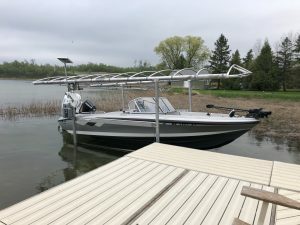 has 112 Ulterra w/72″ shaft, HDS 10 Gen 1, HDS 7 Gen 2 touch, Brand new Helix 10, rod holders, rear casting plarform, brand new ranger cover, digital information readout for 250, spare tire, brand new tongue jack, 4 seats, 6″ Atlas jack plate, stainless prop, all new battery’s, snap in carpet. 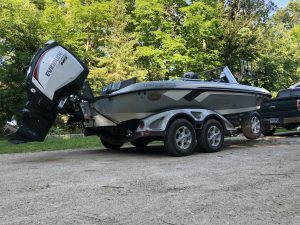 60-62 mph depending on load. 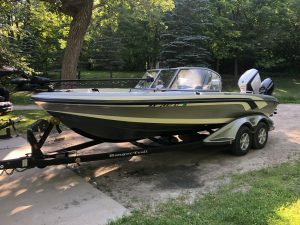 Boat is clean inside and out!